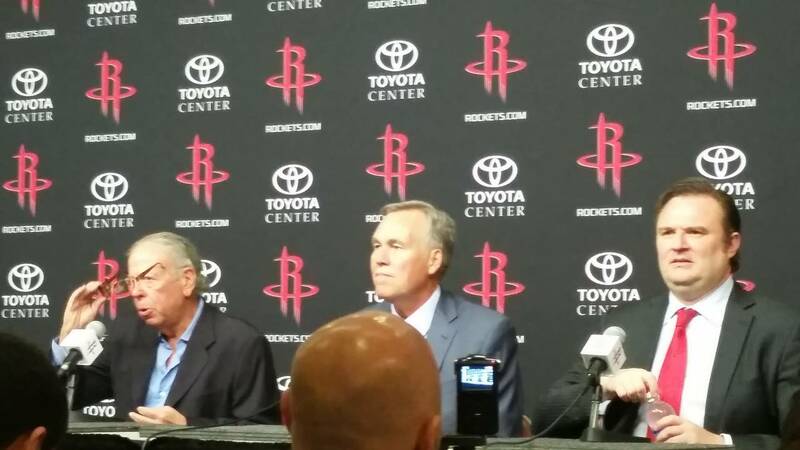 HOUSTON - The Houston Rockets introduced new head Mike D'Antoni on Wednesday at Toyota Center. Team owner, Leslie Alexander, spoke very highly of D'Antoni's previous accomplishments. "We wanted somebody who was really a master of his craft," Alexander said. "Really knows what to do, how to win." Mike has won 60 games twice in his career, only three other NBA head coaches have done that." This is the fifth stop as a head coach for D'Antoni after previous gigs in Denver, Phoenix, New York and Los Angeles. D'Antoni addressed the defense almost immediately in his comments. "Jeff Bzdelik will be my defensive guy. I know that the final responsibility will end up on my doorstep," D'Antoni said. "He'll do an unbelievable job."